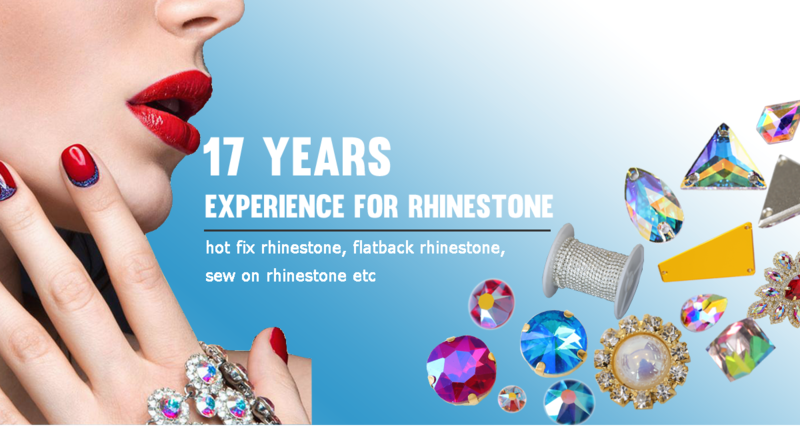 We are the rhinestone factory in China over 17 years. 1. Factory outlets: competitive price with quality assurance. 2. Over 70 colors available: the unique factory can produce full colors. 3. Large stock: fast delievry and lower MOQ. 4. Top quality: extremely Shiny, high index of refraction. 5. The guarantee of after-sale services. We always committed to achieving the real customer satisfaction on quality, reliability, safe shipping combined with competitive price which can help you gain good reputation and save cost. Let's grow up together and win the future!